Arbitration or mediation, along with other alternative dispute resolution procedures, should be explored as alternative methods used by private parties for resolving disputes short of trial in the public courts. In the past, parties would often be encouraged to take their disputes to a neutral decision-maker (often times the church) before taking it to court. This neutral third party would then try to mediate the dispute and come to a fair resolution that both parties could live with. In modern times, this intermediate step of attempting to discuss the issues involved and to arrive at a mutually acceptable resolution has often been ignored. Private arbitration or mediation should be explored as alternatives in many situations including: insurance, construction, labor-management, employment, consumer, business contracts, car accidents, and personal injury. It is clear, that other cases not falling within these subject matters may also benefit from arbitration or mediation. In private arbitration or mediation the parties consent to the procedure and make the key decisions. Arbitration most resembles traditional trial court litigation. Presentations are usually made to one or more neutral decision makers who make a binding award. In some situations, the award is nonbinding and a party may seek a new trial. In contrast to the trial like process of arbitration, mediation gives the third party neutral no decision-making authority and resolves disputes only by mutual agreement of the parties. As many attorneys know and realize, litigation is costly and courts are often congested. You should at least consider private arbitration or mediation. 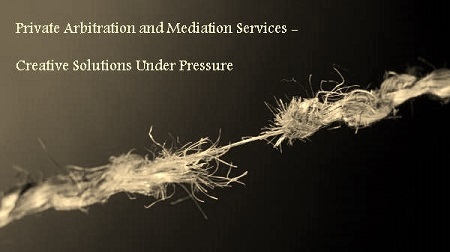 Hiring me to participate as an arbitrator or mediator in your dispute may be less expensive, faster, less intimidating, and more responsive to the underlying difficulties of the case than the expense of “taking it to court”. I am also able to act as an advocate for individuals who are unrepresented by an attorney and are required to participate in arbitration or mediation. If you think that arbitration and mediation may be suitable in your case, please do not hesitate to contact me today to see how I can help you design or select a process that suits your needs. Please do not hesitate to contact me for a free consultation. If you need representation in a private arbitration or mediation, call me at (912) 244-3999 to schedule a free consultation so we can sit down and talk about how I can help you.